From September 1993 to August 1997, for example, Ms. Braver covered the Clinton White House; Mr. Barnett recused himself from any legal work related to the Clintons. Since then, Ms. Braver said yesterday, she had "sort of stayed away from the Clintons" in her coverage. Yesterday, after questions about the propriety of Ms. Braver’s assignment were raised on several media Web sites, including that of CBS News, the division’s senior vice president for standards, Linda Mason, defended it. "Rita is the best person to do this interview," Ms. Mason said, noting that Ms. Braver is a national correspondent for the program who is based in Washington. Ms. Mason added that Rand Morrison, the "Sunday Morning" executive producer, had told her of the piece and the plans for Ms. Braver’s disclosure in advance of it running. "I said it was fine." On Romenesko, a blog on the Poynter Institute Web site (poynter.org) that serves as a virtual coffee cart for journalists, Lee Rood, the investigations editor of The Des Moines Register, posted an entry on Tuesday that read, in part: "I’m appalled. Braver’s husband helped publish this book. How nice that she has a network at her disposal to help him with the advertising." From TIM GRAHAM, Media Research Center: Dave Fluhrer is right to notice that Rita Braver has a floating conflict of interest problem with her husband Bob Barnett's lucrative book-agent deals. But it's also bipartisan. 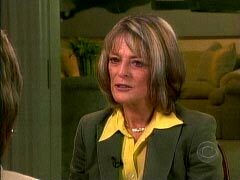 In November of 2003, Braver offered a cozy, comforting interview to Hillary Clinton and her childhood friend Betsy Johnson Ebeling. Hillary was also one of Barnett's clients, and she lists him in the photo section of her memoir as a personal friend. I do not know why CBS and Braver can't use the judgment to recuse her from all stories involving her husband's clients. The actual caption in the Hillary book: "Bob Barnett, a lawyer and close friend, counseled us through good times and bad." It wouldn’t be hard to find Braver's Hillary interview in Nexis and confirm it. The CBS web site he mentions is Public Eye, and while Matt Felling also cited two letters from Romenesko, he ignored mine. While Felling is right in reproducing her boss's retort that Braver's questions to Mrs. Cheney were hardly "fawning" at every point, he sounds awfully defensive for a purported ombudsman. He says he started talking to Braver, but published no remarks from her. Doesn't he think her husband's many prominent clients poses a problem that she should routinely sidestep? Is he a watchdog for viewers or a guard dog for CBS News? This post seems contrary to the founding idea of of the Public Eye site, its "fundamental mission is to bring transparency to the editorial operations of CBS News." Maybe it should be renamed Public Eye Shut.